If you've had a bankruptcy, Fannie Mae and Freddie Mac have different options depending on the type of bankruptcy. Typically for Chapter 7, 11, or 13, it's between two and four years and if you had multiple bankruptcies it could be up to five years. For FHA or USDA loan, it's typically 1 to 3 years depending on the type of bankruptcy and either the distressed state or the discharge date. VA loans are typically the most lenient for any type of distressed financial issues and for bankruptcy, it's two years from the discharge date. 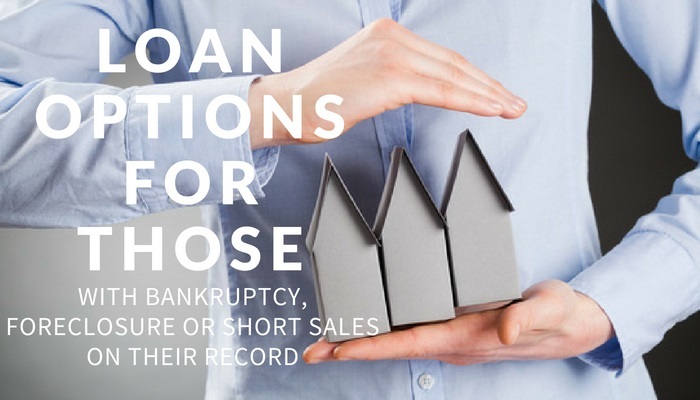 After a foreclosure or short sale, most conventional loans are seven years from the foreclosure date and three years for FHA or USDA. Again, the a mortgage is required just two years from the foreclosure date. If you've had a short sale, it could be anywhere from 2 to 4 years depending on the type of loan you are going for. Again, I can't stress enough that even if you're unsure of your credit history and report and you're still within these waiting periods, it certainly can't hurt you to call and ask about your options. Higher credit scores, especially for those that have maintained excellent payment history, low debt to income ratios, and a stable employment, may have better options. You never know unless you call. Please call our office today to find out if there are options available to you.